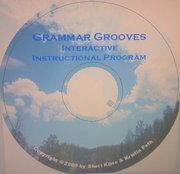 Grammar Grooves is a highly innovative, interactive grammar instruction program with eighteen Powerpoints, reproducables including a teacher manual, student worksheets, pre/post test, and Grammar Grooves cards. Gold or Silver Plated, Sterling Silver or Gold Filled. Plus Antiqued Brass, Antiqued Copper, Copper and Gunmetal. With Spring Ring Clasps, Lobster Claw Clasps or Toggle Rings. Available from 1 to 12 inches long. Enjoy FREE SHIPPING for all your items . Clicking any link in this box will take you to our eBay store. Selected the metal you want.